HIV care and treatment clinics (CTC) are important for management of HIV morbidity and mortality, and to reduce HIV transmission. Enrollment in HIV care and treatment clinics remains low in many developing countries. We followed up 632 newly diagnosed HIV patients aged 15 years and above from Magu District, Tanzania. Logistic regression was used to assess factors significantly associated with enrollment for CTC services. Kaplan–Meier plots and log-rank tests were used to evaluate differences in timing uptake of services. Among 632 participants, 214 (33.9%) were enrolled in CTC, and of those enrolled 120 (56.6%) took longer than 3 months to enroll. Those living in more rural villages were less likely to be enrolled than in the villages with semi-urban settings (OR 0.36; 95% CI 0.17–0.76). Moreover, those with age group 35–44 years and with age group 45 years and above were 2 times higher odds compared to those with age group 15–24 years, (OR 2.03; 95% CI 1.05–3.91) and (OR 2.69; 95% CI 1.40–5.18) respectively. Enrollment in the CTC in Tanzania is low. To increase uptake of antiretroviral therapy, it is critical to improve linkage between HIV testing and care services, and to rollout these services into the primary health facilities. The analysis and work contributing to this paper was conducted as part of the MSc studies of SU in Kilimanjaro Christian Medical University College (KCMUCo). The Kisesa HDSS is a member of the INDEPTH Network and has received funding from the Global Fund [TNZ-405-GO4-H, TNZ-911-G14-S]. The work was supported by the Bill & Melinda Gates Foundation grants through the MeSH Consortium [OPP1120138], and the Search project [OPP1084472]. The clinical services in Kisesa are provided by the Ministry of Health, Community Development, Gender, Elderly and Children (MoHCDGEC) through the Magu District Health Office. We acknowledge the help from staff and students of the Epidemiology and Biostatistics department at KCMUCo, and especially that of Dr Mwaka Kakolwa. We also acknowledge the work of data collection by personnel at in the National Institute for Medical Research (NIMR), Mwanza Centre and the assistance of personnel from London School of Hygiene and Tropical Medicine (LSHTM). We appreciate the contribution to this research by the study participants in Kisesa, who attended the serological survey in 2015. This study has been presented as an oral presentation at International Biometric Society (IBS)- Sub Sahara African Network (SUSAN) conference August 2017 and poster presented at Royal Society of Tropical Medicine and Hygiene (RSTM&H) East African Research September 2017. Ethical approval to conduct this study was obtained from Kilimanjaro Christian Medical University College (KCMUCo) through certificate number is 990. Permission to use the data was granted by the TAZAMA project which had approval from the National Ethical Review Committee (NatREC) through certificate number NIMR/HQ/R.8c/Vol.1/307. Privacy and confidentiality were observed in the course of implementation and analysis through use of unique identifier rather than participants’ names. USAID. Performance Evaluation of USAID Testing and Counseling Projects in Tanzania 2015. http://pdf.usaid.gov/pdf_docs/pa00jq5b.pdf/. Accessed 14 Nov 2017. Tanzania HIV Impact Survey (THIS), 2017. https://phia.icap.columbia.edu/wpcontent/uploads/2017/11/Tanzania_SummarySheet_A4.English.v19.pdf/. Accessed 21 Aug 2018.
WHO. Consolidated strategic information guidelines for HIV in the health sector. 2015. http://apps.who.int/iris/bitstream/10665/164716/1/9789241508759_eng.pdf/. Accessed 27 April 2017. UNAIDS DATA. 2017. http://www.unaids.org/sites/default/files/media_asset/20170720_Data_book_2017_en.pdf/. Accessed 25 Oct 2018.
WHO, UNICEF, UNAIDS. Global HIV/AIDS Response Progress Report 2011 [Internet]. 2011. Available from: http://www.unaids.org/sites/default/files/media_asset/20111130_UA_Report_en_1.pdf/. Accessed 14 Nov 2017.
WHO. Consolidated guidelines on the use of antiretroviral drugs for treating and preventing HIV infection: recommendations for a public health approach. 2013. http://apps.who.int/iris/bitstream/10665/85321/1/9789241505727_eng.pdf/. Accessed 12 June 2017. TACAIDS. National HIV and AIDS advocacy and Communication strategy (2013-2017). 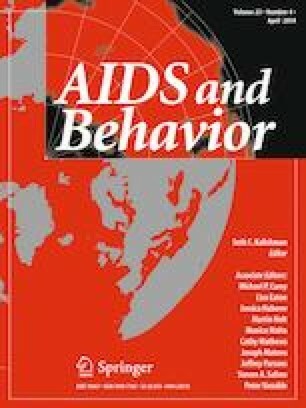 2013. http://hivhealthclearinghouse.unesco.org/sites/default/files/resources/national_hiv_and_aids_advocacy_and_communication_strategy_2013_-_2017.pdf/. Accessed 21 Aug 2017.
WHO. Guideline on when to start Antiretroviral Therapy and on pre-exposure prophylaxis for HIV. 2015. http://apps.who.int/iris/bitstream/10665/186275/1/9789241509565_eng.pdf/. Accessed 14 June 2017.